Other USB 2.0/ 3.0 USB HDD/SSD drives may work with N1. Please check with your dealer. 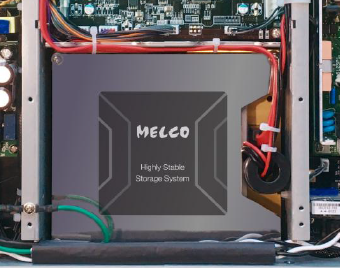 Twin power supplies with additional capacitor banks with audio grade film capacitors isolate the HDD from the data processing, and multiple stages of noise reduction and isolation ensure the quietest possible environment for the sensitive electronics. 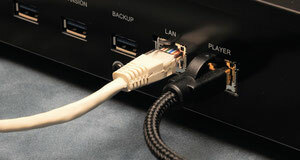 A precision low jitter clock handles the data flow whether to the USB-DAC or the Ethernet player. 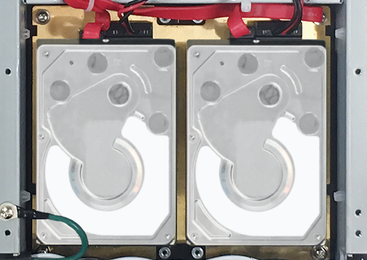 The drives are mounted on massive non-magnetic foundation plate, and the N1ZS20 uses SSD with stable thick base plates and shielded top cover . The N1ZH has SFF drives – which have much less electrical noise than conventional 3.5 inch HDD. 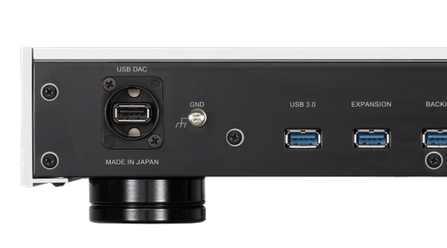 Operation of the N1Z is very convenient, with a dedicated Neutrik USB 2.0 port for a DAC, and then 3 USB 3.0 ports for Easy Backup, Easy Expansion, Easy Import of CD or from USB drives, and Easy Play without import from USB drives or CD loader so that a legacy CD collection can benefit from the latest DAC technology. All without any requirement for a PC or any IT type devices in the audio system. component as ground point, and internal power-line noise filter. - N1ZS/2: SSD (1 x 2TB) is mounted on a heavy non-magnetic foundation, covered by a non-magnetic stainless shield cover, all within an isolated compartment of the H frame and is powered by a dedicated SDD power supply. N1A/2 is a development of the N1A to further improve sound quality especially for USB-DAC users. A dedicated Neutrik USB 2.0 port connects to the DAC for optimum sound quality. Internally there are many detailed improvements to further reduce internal noise including a new capacitor bank to isolate the medical grade power supply, a new higher current 3 pole IEC connector with true ground and a built in power supply noise filter. Newly selected HDD with vibration isolating cradles ensure a new low level of vibration combined with capacity increase. (2 x 3TB = 6TB). A front panel USB 3.0 port makes importing from USB stick or USB drive very convenient and is in addition to 3 rear USB 3.0 ports for Easy Backup, Easy Expansion, Easy Play and Easy import.